Welcome to our Second Grade Math Worksheets area. Here you will find our selection of free printable 2nd Grade math practice sheets, for your child will enjoy. Come and take a look at our multiplication pages, or money flashcards. Perhaps you would prefer our telling the time worksheets, or identifying 2d and 3d shapes in the geometry section? 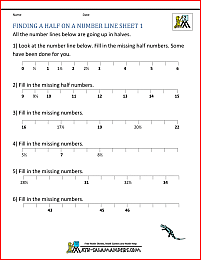 On this page you will find link to our range of math worksheets for 2nd grade. Once your child is confident with their place value to hundreds, they can start learning about ordering and rounding numbers. The graded worksheets here will help your child learn to compare numbers to 999, and round numbers to the nearest 10. The following webpages involve correctly placing numbers on a number line. understand place value up to 3 digits. learn to add numbers to 999 in columns. The following worksheets involve using the Second Grade Math skills of subtracting numbers, and solving subtraction problems. learn to do 3 digit column subtraction. You can create your own addition and subtraction worksheets with our random generator. All you need to do is to set your number size and let the generator do the rest! 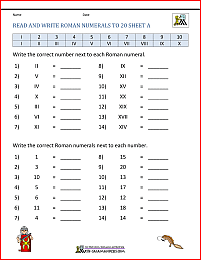 The following worksheets involve using the 2nd Grade Math skills of multiplying, and solving multiplication problems. learn how multiplication and division are related to each other. 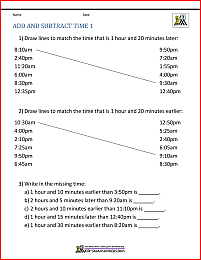 The following worksheets involve using the 2nd Grade Math skills of dividing, and solving division problems. Here are a range of problems solving sheets for 2nd graders. Most of the sheets contain 'real-life' problems related to animal facts. These sheets involve solving one or two more challenging longer problems. This link opens in a new tab. These sheets involve solving a range of multiplication problems. find half of different numbers up to 20. At a Second Grade level, children are introduced to a wider range of 2d and 3d shapes, and start to learn to reflect, flip and rotate shapes. They are able to classify and sort two-dimensional shapes using different criteria, and they learn the properties of three-dimensional shapes. Know some of the properties of 2d shapes. These sheets involve reading scales going up in ones, fives, tens and hundreds to find the length, weight or liquid capacity. The following worksheets involve counting different amounts of money in pennies, nickels, dimes and quarters. 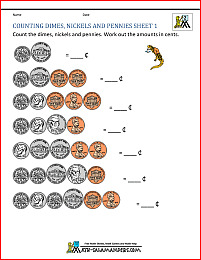 There is a wider range of free money worksheets at the 2nd Grade Math Salamanders (see below). These sheets will open in a new tab. learn to count up different amounts of money to $1 in coins. learn to count up to $10 in coins and dollar bills. adding and subtracting hours from different times. These sheets involve reading and interpreting a range of bar graphs and picture graphs with a scale going up in ones or twos. Draw missing bars on a bar graph to the correct height. Use the information in a bar graph to add data into a table. Using the link below will open the 2nd grade Math Salamanders website in a new browser window. All children like to play Math games, and you will find a good range of 2nd Grade Math Games here for your child to play and enjoy. 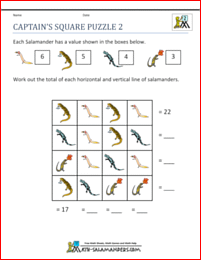 The Number Square Puzzles page will open a new browser window which will take you to the 2nd grade math salamanders website. Come to our friendly 2nd grade math help page! Looking for a resource which is not here? Take a look at our 2nd Grade Math Salamanders website. On this site you will find a wider selection of 2nd grade math worksheet and free math resources.